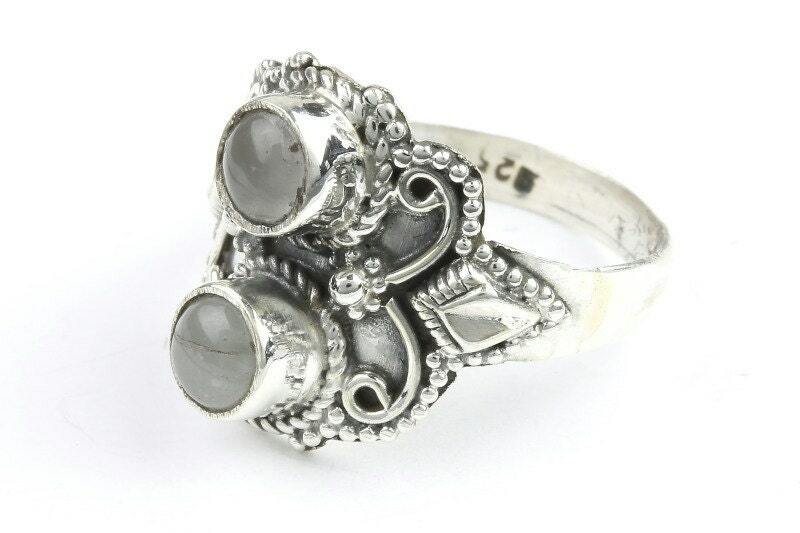 Beautifully ornate detailed ring with Aquamarine stones. Patina finish accentuates the intricate detail of the piece, while giving it a lovely vintage appearance. Aquamarine is a stone of the waters and reflecting heavens. 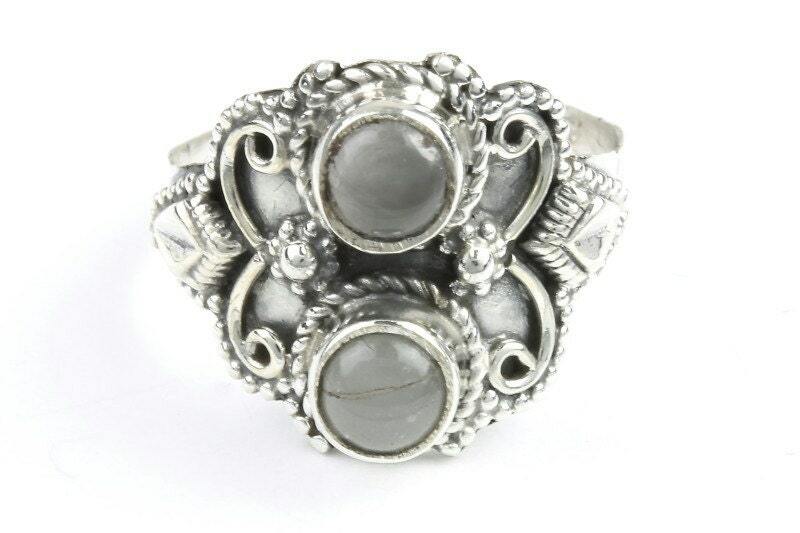 It is a calming and peaceful stone. Beautiful gray color and really well made. One of my new favorites! Very pretty piece. Thank you.